Amanda came into Health Kinesiology (HK) in 1993 from a background as a practitioner and teacher of McTimoney-Corley chiropractic. She has a wealth of teaching experience and knowledge behind her and has been teaching Kinesiology since 1996. Amanda won an FHT Excellence in Education Award (Tutor of the Year) for her teaching, in 2013, and in the same year trained as an Emotion Code and Body Code Practitioner. She uses her training as a chiropractor- alongside the kinesiology and the body code - to work with many structural issues with clients, as well as helping clients with emotional, physical, career blocks and biochemical imbalances. 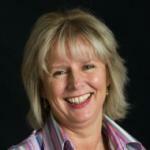 Amanda is now an Associate of Hairgrowth UK and works extensively with hair issues. She believes that if every aspect of your life is brought into balance - that is, your nutritional, physical, emotional, psychological aspects and home life - then you can live life with much fewer stresses and get on with enjoying each moment of each day. Amanda was Head of Health Kinesiology™ (from 2007-2012) in the UK and the Head of International Health Kinesiology Training and has recently resigned from these positions so she can concentrate on her clients and family.